Badische Zeitung, Telocate: Precise navigation in large buildings, November 2017. Badische Zeitung, Freiburg start-up company Telocate awarded for their indoor navigation, July 2017. Badische Zeitung, Award for Freiburg startup company, June 2017. 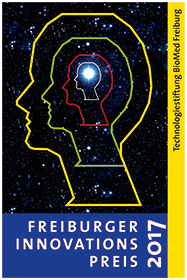 University of Freiburg, Find your favourite washing powder using your mobile phone, May 2017. StartupValley, Telocate – Indoor Sensing and Navigation Solutions, May 2017. Techtag, Freiburg: 10 Startups, you should know, April 2017. Badische Zeitung, An award as a stimulus, These five companies from Freiburg want to make with their innovations the world a bit better, Feb. 2017 (in context of the Freiburg Innovation Award 2017). SWR Aktuell Baden-Württemberg, The Telocate navigation system for blind and visually impaired people (SWR Mediathek, at 16:20), Feb. 2017. Uni Freiburg press release, Lokalisieren und Flüssigkeiten simulieren, Feb. 2017 (regarding the FAIM award 2016). Erich-Hauser-Gewerbeschule: News, EHG Rottweil: Fit für High-Tech, Wirtschaft und Gestaltung, Jan. 2017.
gis.Business, Special: Innovative Navigation und Geo-Apps, edition 06/2015, Dec. 2015. Ingenieur.de, Das sind 5 der vielversprechendsten Gebäude-Navis, Nov. 2015.
impulse, 5 Ideen / Mobile Ortung für Gebäude, edition 09/2015. brand eins, Echolot fürs Handy, edition 07/2015. Intelligente Welt, Wenn GPS versagt – Indoor Navigation, June 2015.
fudder.de: Stadtgespräch, Der Freiburger Start-Up Telocate hat einen Indoor-Navi entwickelt, Jan. 2015. 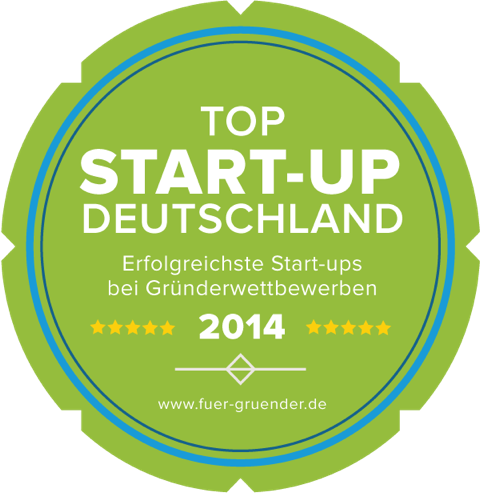 Listing in The best business ideas in 2014 in Germany of Für-Gründer.de (as a main prize winner in the IKT Innovativ 1/2014 competition), Jan. 2015. Spiegel Online, Mysteriöses Geräusch in Berlin: Was wurde eigentlich aus dem Knall vom Wedding?, Dec. 2014. Start-up competition IKT-innovativ, Interview with Dr. Wendeberg on YouTube, Oct. 2014. Spiegel Online, Ortungstechnik: Lauschen auf den Knall vom Wedding (Interview with Dr. Wendeberg), April 2014. Start-up competition start2grow in Dortmund: fuer-gruender.de, TU Dortmund, dortmund.de, March 2014. Awarded second of four as the ICT foundation of the year 2017 of German BMWi. Among the five recipients of the Freiburg Innovation Award 2017 (26 submissions). First prize of two in the FAIM award 2016 competition for the smartphone localization solution ASSIST (around 160 submissions). Award of the German online portal Für-Gründer.de as a Top Start-up Deutschland – Erfolgreichste Start-ups bei Gründerwettbewerben 2014. Main prize in the start-up competition IKT Innovativ, round 1/2014 in Berlin (among the best six of 290 submissions). Among the best ten places in the start-up competition start2grow 2014, phase 2 in Dortmund. Among the best ten places in the start-up competition start2grow 2014, phase 1 in Dortmund.